When was the last time you made your own scrapbook? It’s not easy to create yourself because it requires time, patience, and a lot of Elmer’s glue or tape! So why not let a Snapshot photobooth, powered by the SCE Event Group, do it for you? Did you ever leave an event saying, “I really wish I took more pictures?”. The point of a photobooth is to have your guests not worry about leaving their cameras home or in their purses, because they're so engrossed with what is going on that the last place they’ll be is at their table. None of your guests should be sitting unless told so, or of course eating or toasting to you! Now you don’t have to worry, because your friends and family can fill your scrapbook themselves! The excitement your guests feel leaving you some silly and even outrageous pictures is another gift personalized for you on your special day. In fact, they can take their own personal pictures home with them that same day or night. Photobooths take the “stiffness” out of the usual wedding reception because your willing to share the spotlight with your guests. When you show someone your wedding scrapbook, they’ll probably be amazed at your guests interaction. Let’s face it, the last thing you want to do is worry that your guests aren’t being entertained. SCE will have your photobooth flashing all night! At a special event you usually bump into friends and family you might not see too often, you want to celebrate and snap as many photos as you can with them. In addition you can even view your pictures on our snapshot website! SCE likes to show the public our photobooth results so they can feel confident in using one for their own event. A photobooth can bring a lot of character to your event, which can help your guests interact with each other. Do not be surprised to see grandma and grandpa throwing up the “peace sign”, or maybe a couple smooching for the camera! You always want to make sure your guests are having a good time, that is why props, and add on enhancements such as this are beneficial. In addition to the personal scrapbook, you can add a footer to your print outs. You can simply label with your name, or use a specific design, or colors to let your guests remember the event and date. SCE will help you best match the theme of your event with your own personalized footer. A wedding is romantic, and a lot of your guests attending your special day could be engaged or married. It’s a romantic excitement in the making, and also a personal romantic remembrance for them! You want guests leaving saying your wedding was unforgettable, and that they could feel the Love just as much as you do with that special someone, SCE can capture that for you in a photobooth. 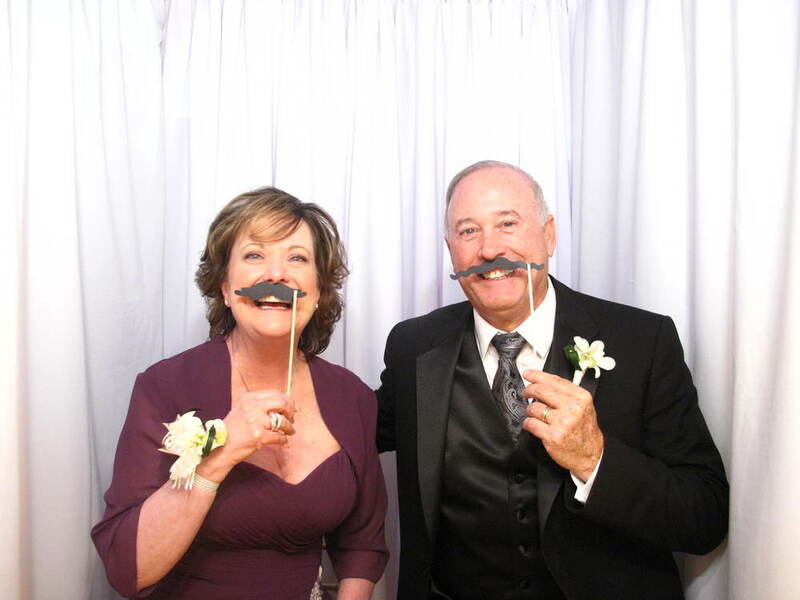 To learn more information about a Snapshot Photobooths package for your special event, click here to see our Lounge booth packages and click here to see our brand new Vanity series packages. You won't be sorry! Newer PostSnapshot Photobooths for another awesome event! Older PostSnapshot and SCE's busy week of bridal shows!